I am a firm believer in the power of story and I am learning to become an oral storyteller. This prezi is meant to accompany my presentation about my journey. It does include an annotated resource list at the end which includes resources I’ve found to be very helpful on my journey. If you’d like to hear my whole presentation I’m happy to come and present to any size group. Also it has come to my attention that today is world storytelling day! Happy coincidence!! Here’s a link to the canadian site which lists a lot of the major events happening across the country today and links to alot of the great storytelling groups this country has! Posted in Uncategorized and tagged Booklist, prezi, resourses, storytelling. Bookmark the permalink. It’s a little late and I apologize it’s getting busy with my courses. However, here are this weeks books and this week I have three early reading chapter books to share. These are great for those students who are just starting to read chapter books or would work for a first teacher led novel study. 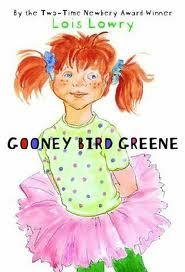 Gooney Bird Greene by Lois Lowery. Gooney Bird isn’t just any second grader and when she arrives at her new school she teaches her whole class a lesson about being yourself and what makes a great story. This short book is laugh out loud funny and very relatable for students. It also would be a great book to introduce creative writing and help students learn some of the early steps in the writing process. As an added bonus this is the first book in a series so there is plenty of fun ahead for readers. 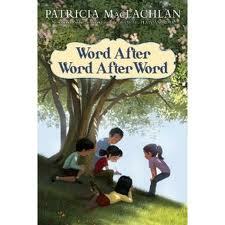 Word after Word after Word by Patricia MacLachlan. The author of Sarah, Plain and Tall writes this beautiful and lyrical book about the writing process. Through a series of author visits the grade 4 students are inspired to express their secret fears, sadness and thoughts through expressive poetry. This book is all about the power of words and especially the written word. A much gentler and quieter read about writing it moved me to tears at points and inspired me to write my own poem. I think it would also be good for an introduction to a writing unit, especially a poetry unit. The Giggler Treatment by Roddy Doyle. Moving away from writing books and into something that is just plain fun. Rover the dog has a secret business working for the gigglers. Gigglers are tiny creatures that look after children by making sure that adults who treat children meanly are punished. In this fun rollicking read we learn how adults are punished and how Rover saves the day when the gigglers target the wrong adult. Caution if the word poo offends you don’t read this book. 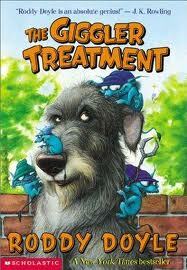 This is the type of book boys will like, potty humour, quick short chapters and a faced paced funny plot. Is it deep? Not really but it’ll hook reluctant readers and the good news is there are more books in the series to keep them reading. Posted in Book List and tagged Booklist, Lois Lowery, Patricia MacLachlan, Roddy Doyle. Bookmark the permalink.